3 tablespoons balsamic vinegar 1 tablespoon Dijon mustard5 tablespoons extra-virgin olive oil Kosher salt Freshly ground black pepper. Add the spinach and dressing to the squash and shallots. 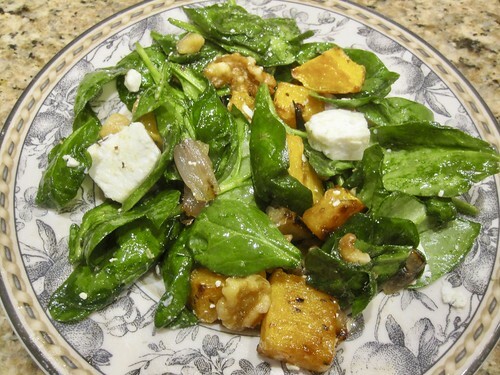 Toss thoroughly, then place the mixture in a serving bowl, top with the feta and nuts.